SLIDELL, La. — The man who allegedly shot a 16-year-old after getting into an argument with a group of people on social media has been arrested. 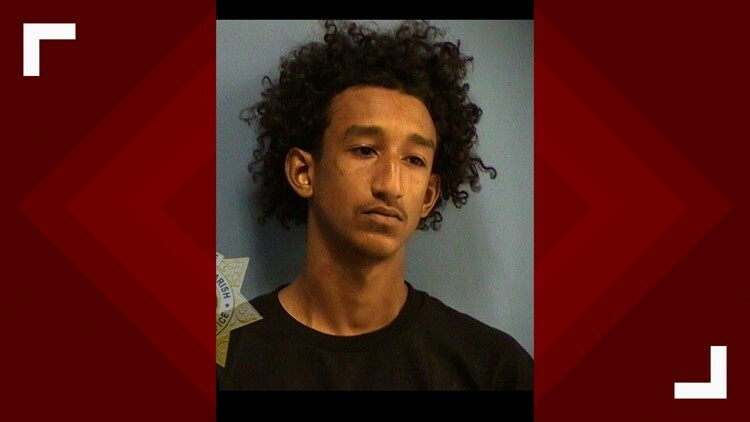 According to the St. Tammany parish Sheriff's Office, 22-year-old Angelo ‘Lo’ Roman Lafitte was arrested for aggravated second-degree battery, aggravated assault with a firearm and violation of a protective order. The shooting occurred 11 p.m. Sunday on Laurent Road. The sheriff’s office said Lafitte gave a group of people an address with plans to meet them after he and one of the group exchanged threats on social media. As the group drove down Laurent Road, Lafitte opened fire with several rounds striking the vehicle, one of which hit the victim. The vehicle was driven to a nearby home and 911 was called. Police say the 16-year-old victim is in "guarded condition." Anyone with information on this shooting is asked to call the St. Tammany Parish Sheriff’s Office at (985)898-2338.